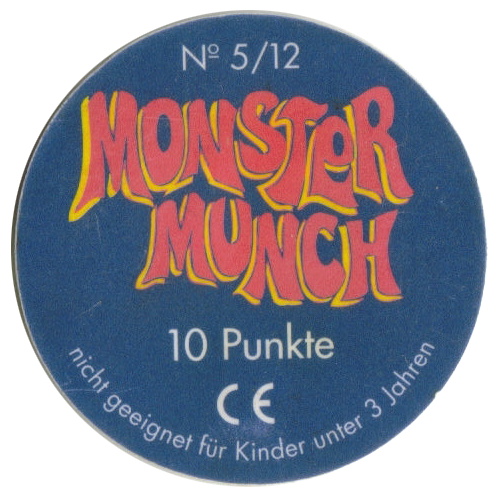 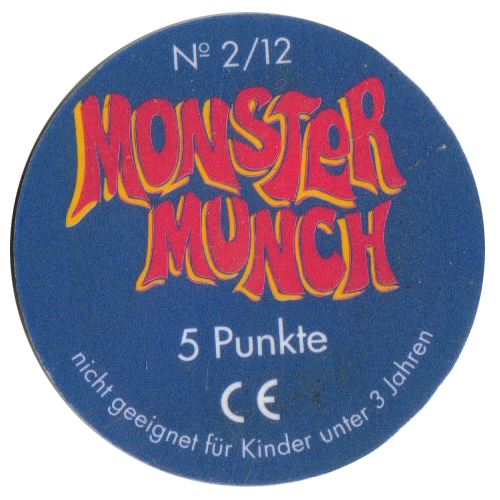 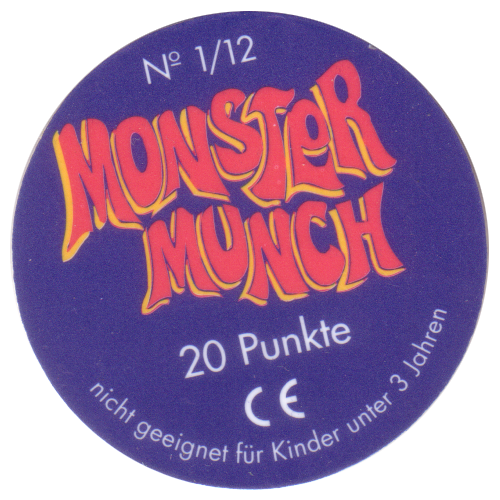 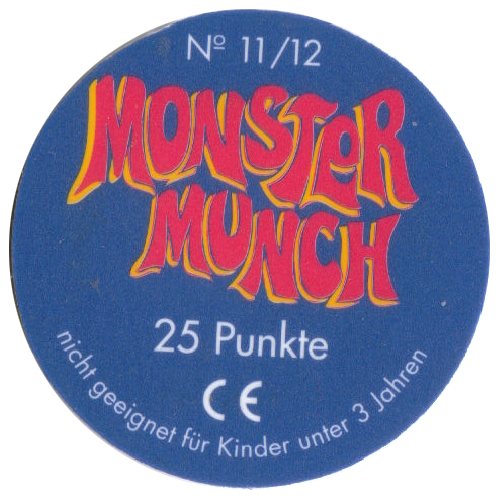 Info:These pogs would have been given away with packets of Monster Munch snacks in Germany. 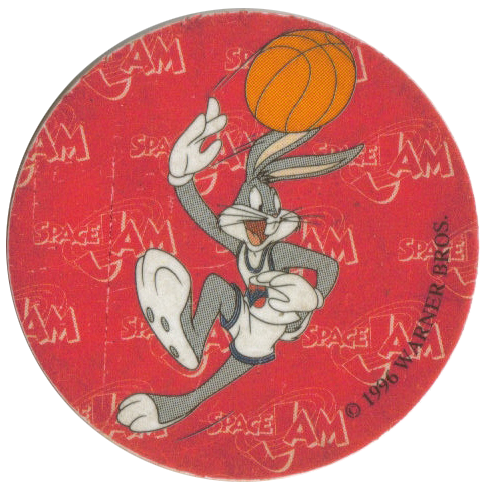 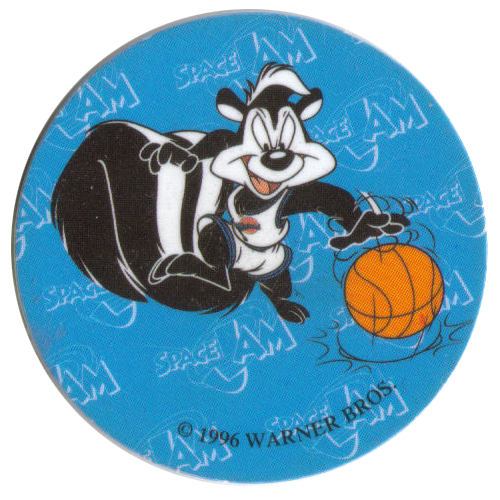 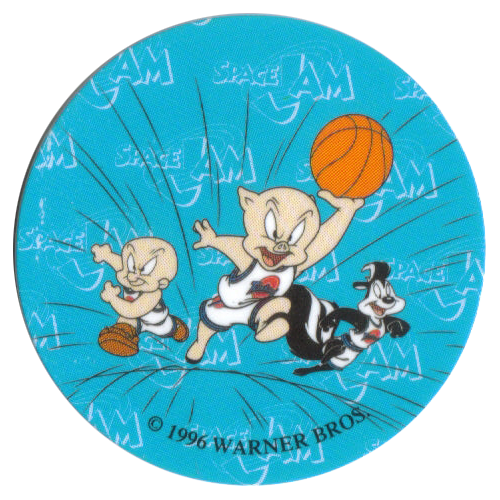 They feature characters from the 1996 Warner Bros film Space Jam. 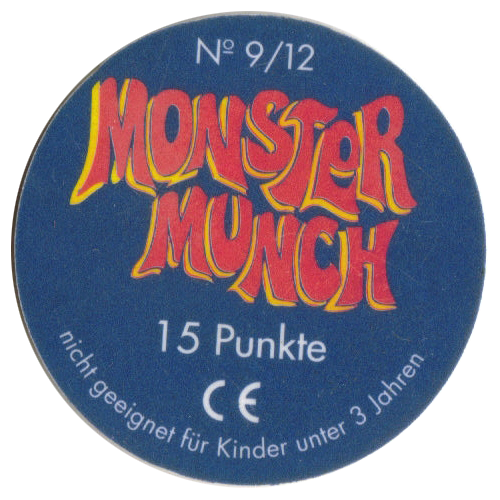 On the back of each cap it gives the number of the cap, plus a point score. 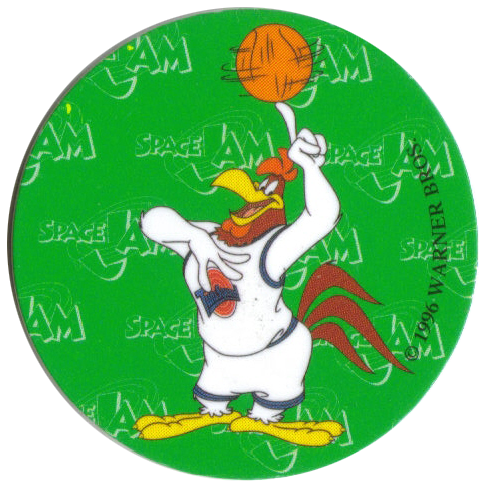 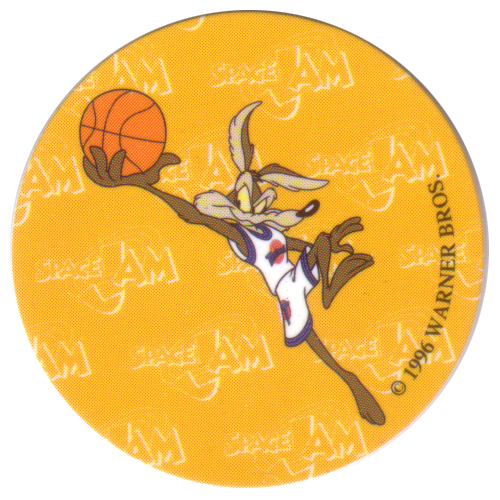 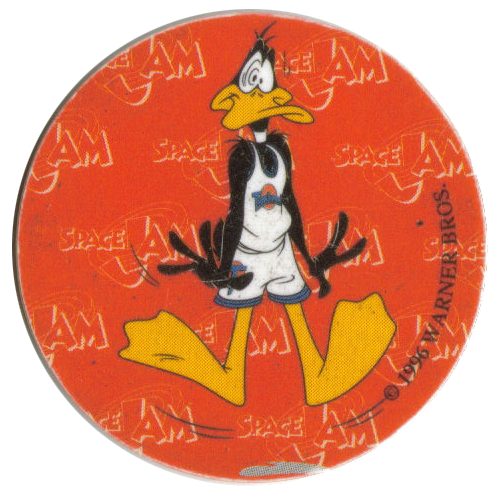 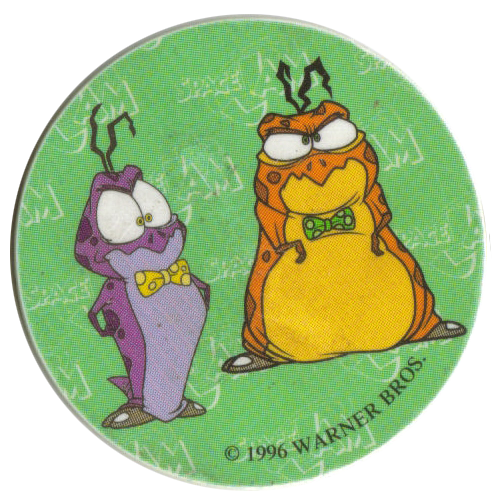 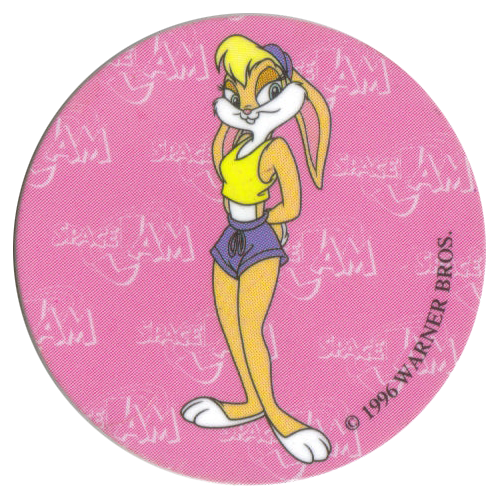 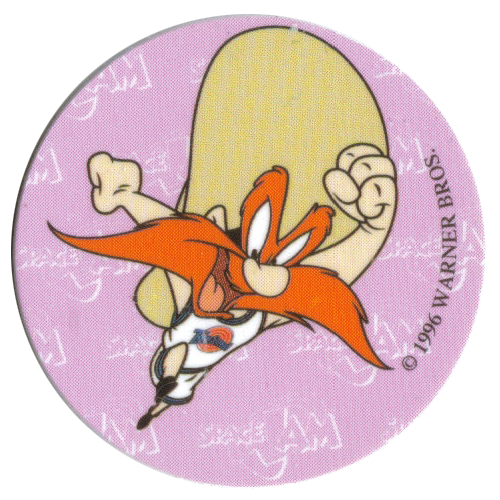 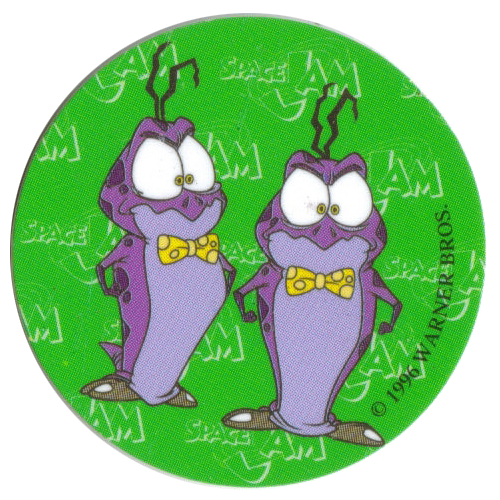 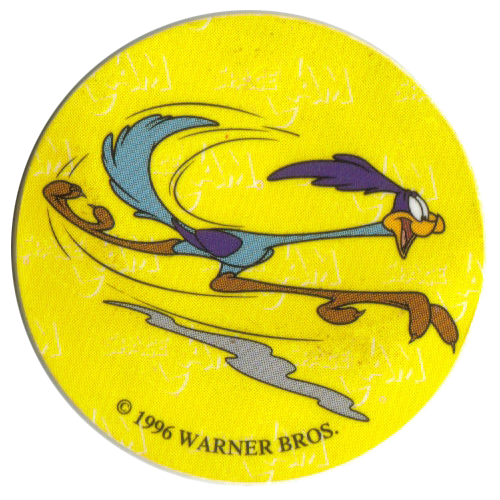 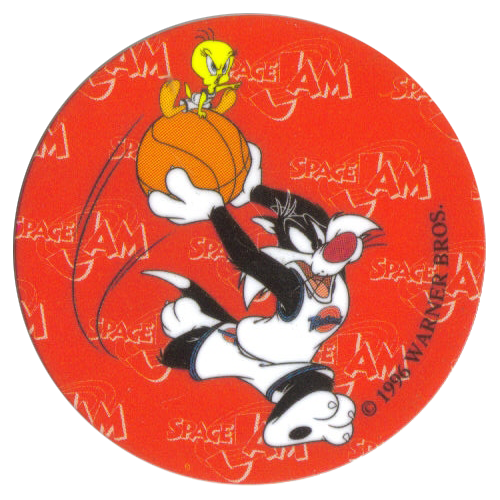 Thanks to Silke for the scans of most of these pogs.